When was the last time you took a long hard look at your roof? It’s not just seeing it as you pull up to the house but getting close to the joints and rain gutters. Also, look around any of the eaves with windows. This inspection should be done around the entire roof. If you are hesitant about climbing up there because of the slope, then bring in a professional roof contractor that you trust. Ideally, this would be the person who installed the roof. Before you get down off of that ladder you’ll want to make sure you are cleaning out the rain gutters all around the house as well. Not only could there be leaves in there but also birds’ nests left over from spring. Pay careful attention to the areas where your gutters are attached to the roof. There shouldn’t be any signs of rust at those seems. The best rain gutters are ones that pour the water away from the house by at least 4 feet. That protects the foundation from water damage. Still, you need to walk around the entire home and check your foundation for cracks. That same type of inspection should be for your driveway and concrete patio. You don’t want to wait until winter to fix those cracks because once water gets in there and freezes it to make them even worse. Cleaning out your fireplace is one of those jobs that is best left for a professional. They will literally have to clean from the bottom and from the top. This should be something that is done on an annual basis that if it has been a while since you had your fireplace clean then expect a lot of soot to be removed. 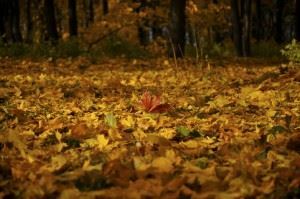 As you are getting your home ready for fall, you might notice a lot of things that need to be tossed out. This would be the stuff you could easily get rid of in the trash but the bigger items like an old futon or mattress. That’s a job for Junk King Columbus. These junk removal pros can quickly sweep through your entire home and pull out all the things you point to that you want gone. Prepping your home for fall means getting rid of the rubbish and that is a job tailor-made for Junk King Columbus. This entry was posted in columbus junk removal and tagged clutter, fall, home prep, rubbish on August 31, 2017 by Junk King. Last updated August 31, 2017 .